Drawing on a growing range of surface-mount devices, Excelitas Technologies supplies photon detectors and emitters that meet all requirements of LiDAR distance measurement OEMs. Drawing on a growing range of surface-mount devices, Excelitas Technologies supplies photon detectors and emitters that meet all requirements of LiDAR distance measurement OEMs. The portfolio features suitable products for advanced autonomous vehicle solutions across the general automotive sector and other fields such as self-organizing logistics systems. Robust SMDs from Excelitas are made for automated pick-and-place in high-throughput assembly lines. Standout products include C30737MH silicon avalanche photodiodes (APDs) that provide high responsivity between 500 nm and 1000 nm and extremely fast rise times at all wavelengths. Two standard designs are available, optimized for 800 nm and 900 nm and with active area diameters of 230 µm and 500 µm. The manufacturer offers optional bandwidth, wavelength, and active area customization for OEMs, enabling them to ensure perfect compatibility with laser sources and optics to achieve the required range and performance. Operating voltage ranges can also be customized to improve gain uniformity in systems using more than one APD. At a compact footprint of just 2 mm x 1.75 mm, C30737MH APDs are ideally suited for such designs. 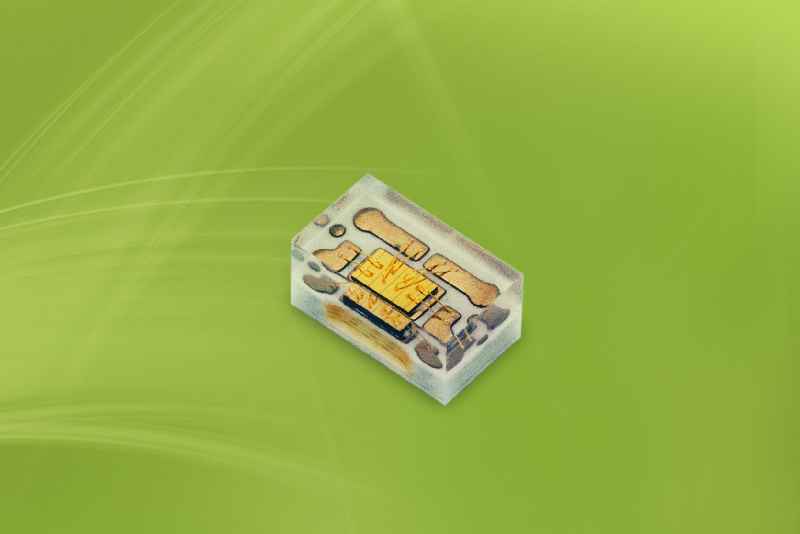 Excelitas’ 1×4 pulsed laser diode array is another customizable SMD LiDAR component. The 1×4 linear configuration minimizes space requirements in comparison to single-pixel lasers and enables the use of smaller, less costly optical components. Each laser pixel can have up to four emitting stripes, resulting in very high per-channel optical power levels in excess of 85 W for long-range detection with minimal power consumption. These lasers can sustain large reverse voltage levels and can be supplied with drive electronics that allow for rise times below 1 ns and pulse widths below 5 ns. Customizable parameters include the number of elements, element spacing, stripe width, channel power output, and package footprint. Another component in the Excelitas‘ SMD lineup, 905 nm single-chip pulsed semiconductor lasers produce very high optical pulses centered at a wavelength of 905 nm. The patented, ultra-compact lasers can emit light in a perpendicular or parallel orientation to the mounting plane. They achieve a higher beam placement accuracy than lead-frame, plastic packaged lasers at comparable price points. Looking forward, Excelitas has a growing solution offering in the array space, including pulsed laser diodes, PINs, and APDs. These monolithic arrays enable higher resolution LiDAR systems while maintaining all the benefits of single-channel components. In addition, the manufacturer also supplies drive electronics as well as readout electronics. All of the above products are assembled and tested in Excelitas’ high-volume, IATF-16949-certified facilities. A demo kit from manufacturer Excelitas facilitates the comparative evaluation of infrared temperature, motion, and presence detectors. The kit consists of an interface board, sensor adapters, and user-friendly software. The universal board easily connects a wide range of Excelitas IR sensors to developer PCs via a USB interface. A demo kit from manufacturer Excelitas facilitates the comparative evaluation of infrared temperature, motion, and presence detectors. The kit consists of an interface board, sensor adapters, and user-friendly software. The universal board easily connects a wide range of Excelitas IR sensors to developer PCs via a USB interface. This enables quick and reliable testing, allowing OEMs to make an informed decision about which sensors to integrate in their innovative smart devices and similar products. All basic parameters are accessible in the companion Windows software. That way, different types of sensors can be thoroughly examined. The demo kit supports both thermopile and pyroelectric sensors. Suitable adapter boards either feature sensor-specific sockets or, in the case of SMD products, they are supplied with sensors soldered onto the board. Presence and motion sensors provide key functions for many newly developed devices. Among other things, they enable the optimization of the energy efficiency of battery-powered products. Notably, low-power detectors such as Excelitas CaliPile have proven to be an ideal fit for battery-powered devices. In CaliPile series sensors, all detection functionality is handled by an integrated DSP, allowing the host device to stay in a power-saving sleep mode until a relevant event triggers a wake-up. 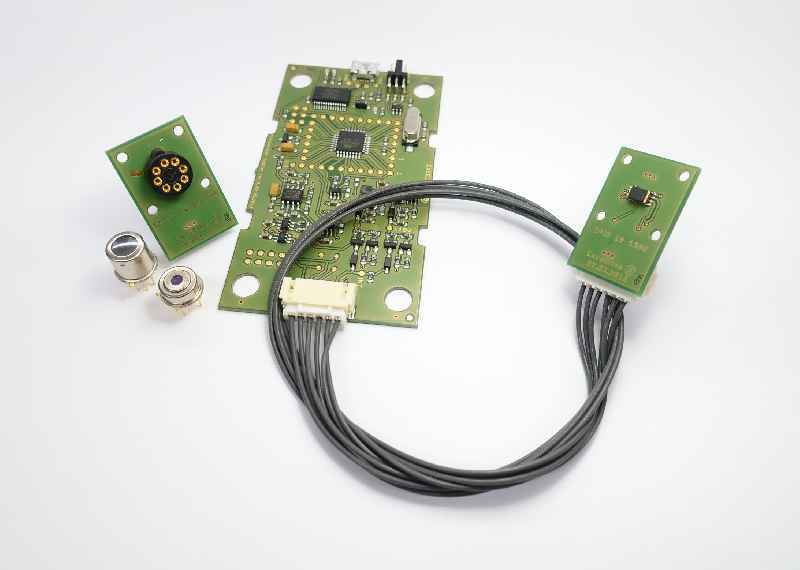 For fast development of pure CaliPile applications, Excelitas also offers a simplified evaluation software specifically for this sensor family in addition to the comprehensive multi-sensor demo kit software.